Vickerman Silver Lama Indoor Commercial Christmas Bow, 48'' x 60'' by Vickerman at Two Clock. MPN: 31465916. Hurry! Limited time offer. Offer valid only while supplies last. 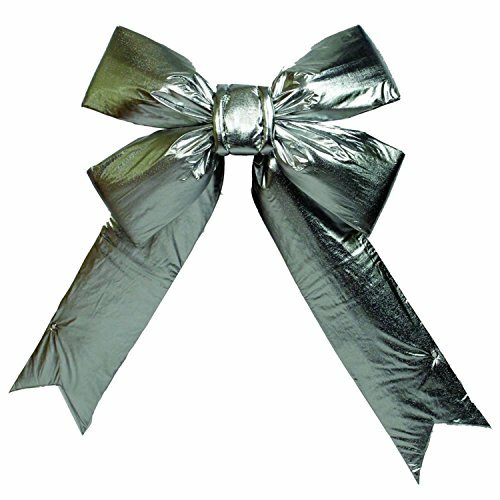 Silver Indoor Commercial Christmas Bow with four loops adds extra shimmer to your holiday decor. Commercial sized. Recommended for indoor use only.